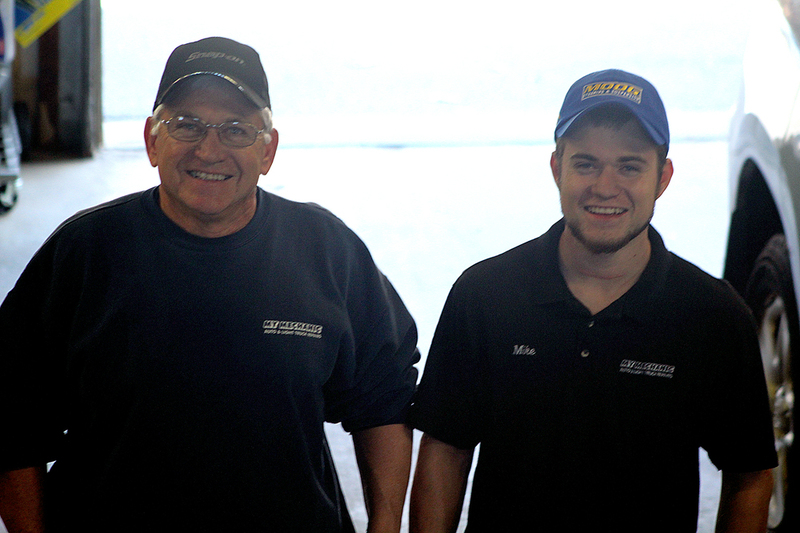 My Mechanic owner Steve Faucher with his son, ASE-Certified Technician Mike Faucher. Conveniently located on Route 2A in Ayer, My Mechanic has provided dependable car and light truck service to northern Massachusetts for over 25 years. Since its opening by owner Steve Faucher in 1987, My Mechanic has been proud to offer a variety of services on both foreign and domestic vehicles. My Mechanic is also a licensed Massachusetts State Inspection Center (click here for hours). We hope to show you why we have developed such a loyal, satisfied customer base! Give us a call today at (978) 772-3277 to schedule your appointment.